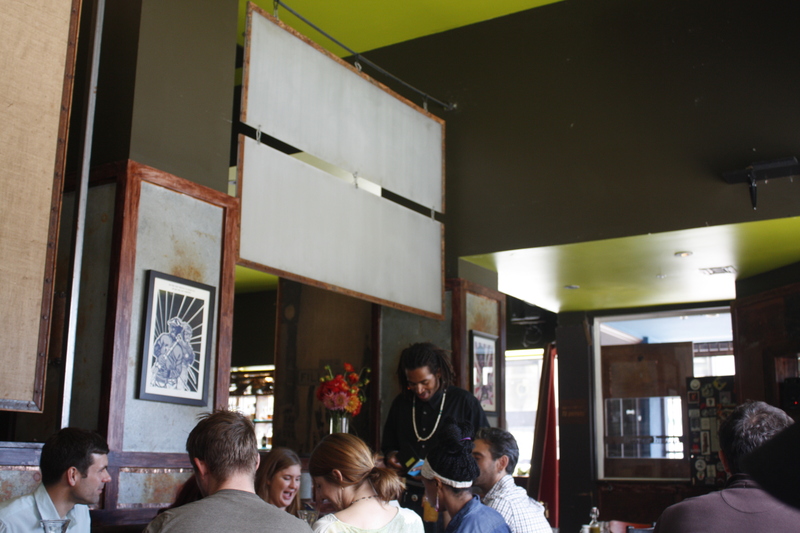 We were itching for some fried chicken and soul food and heard about Farmerbrown. The Come and get it brunch for $21.95 is definitely a buffet worth the time. The high ceilings and friendly service was welcoming. 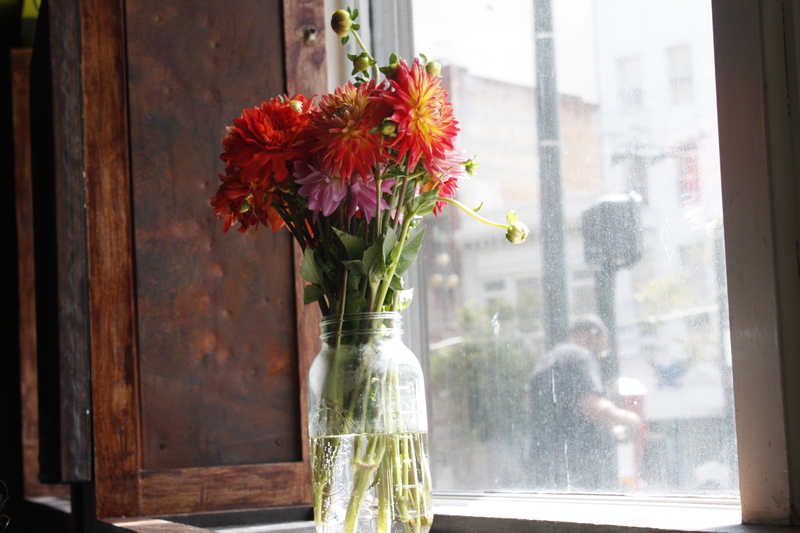 We loved the mason jars with pops of color. They look friendly. 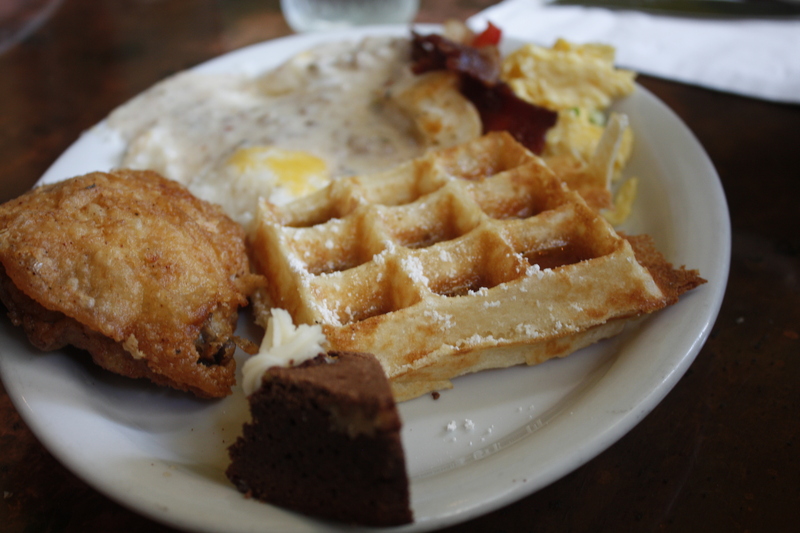 On the buffet menu is Farmerbrown’s famous fried chicken, country scrambled eggs, applewood smoked bacon, cornmeal catfish, mushroom gravy, sausage gravy, biscuits, waffles, cheesy grits, cajun potatoes, succotash veggies, yogurt with granola and honey, brownies, banana bread, fruit salad and asparagus. The veggies and eggs were fresh, but we absolutely loved the biscuits and fried chicken, this was what was what we had seconds of. 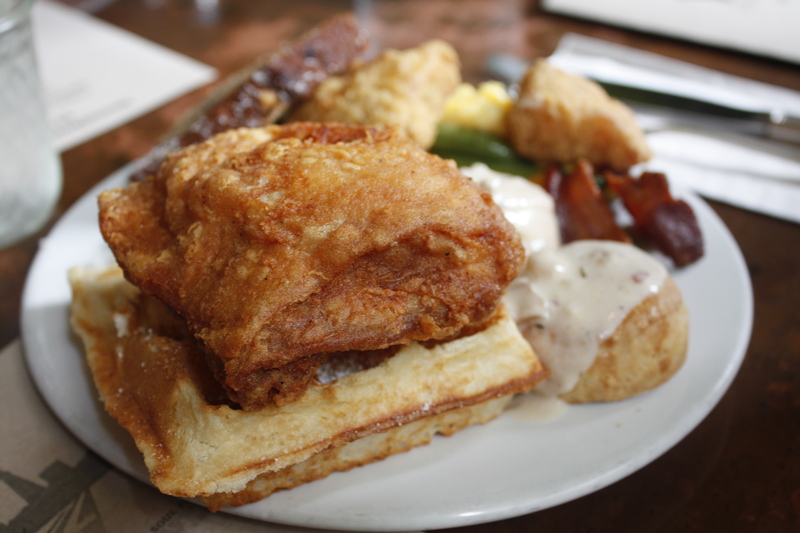 We even made our own makeshift chicken and waffles with a side of crispy bacon. The second to last round had a little bit of brownie and clearly our favorites. 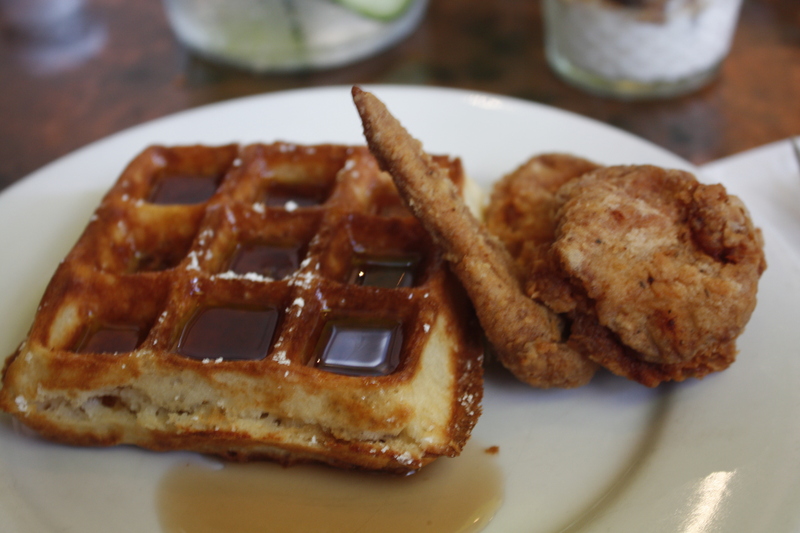 The last round was strickly chicken ‘n’ waffles. The juicy chicken with crispy skin. 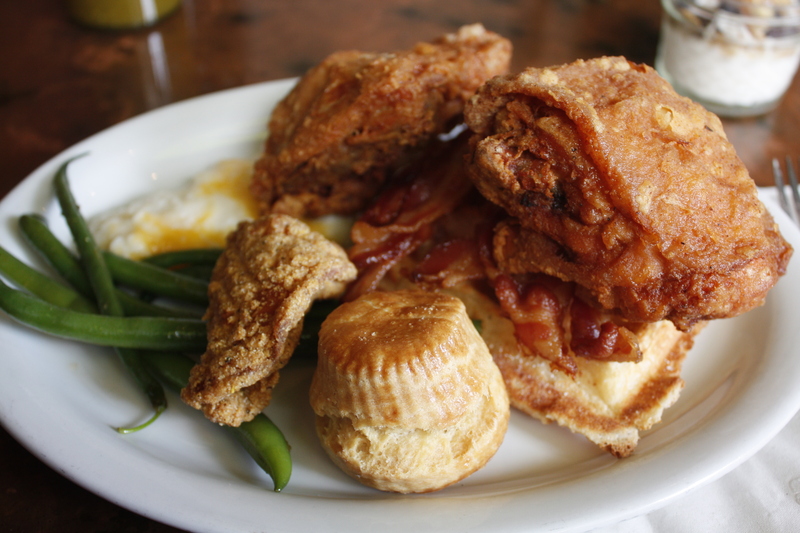 We would definitely return to Farmerbrown if we were looking for a Southern fix.